There has been no shortage of people, including Shake, asking about when this item might be used. So after five months (yes, I KNOW!) of this unopened box sitting on our living room floor, I finally cracked into it. 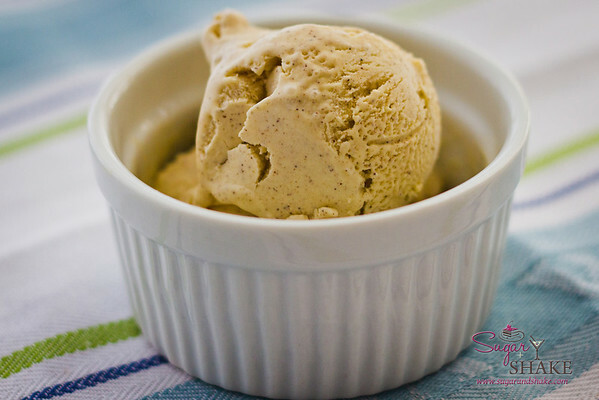 Homemade ice cream. We may never go back to store bought. I’m not saying I’m anywhere near as handy with a freezer unit as VIA Gelato’s Melissa Bow, but I was pretty impressed with myself. The process was pretty simple—not as daunting as I thought it might be—but also not as fascinating as I thought it would be either. It’s just a bunch of liquid spinning around in a tub. I don’t know what I thought it would do, but I somehow thought it would be…more…interesting. 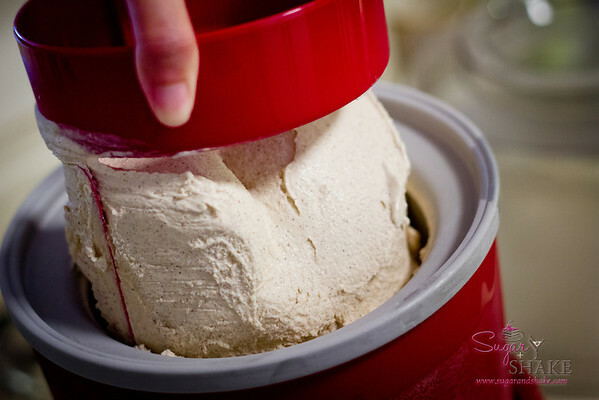 Ice cream making is definitely not something you can do on a whim—you have to prepare the freezer bowl at least six hours ahead of time. 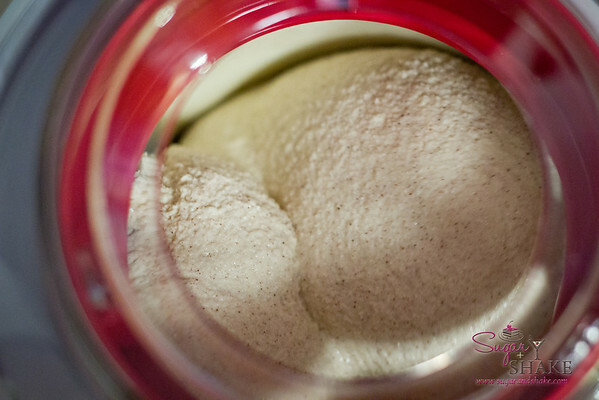 (If you have enough freezer space to, as they say, “leave your freezer bowl in the freezer at all times for the most convenient frozen desserts,” I commend you. We just don’t have that kind of space. Because I have a bin full of vodka in there.) 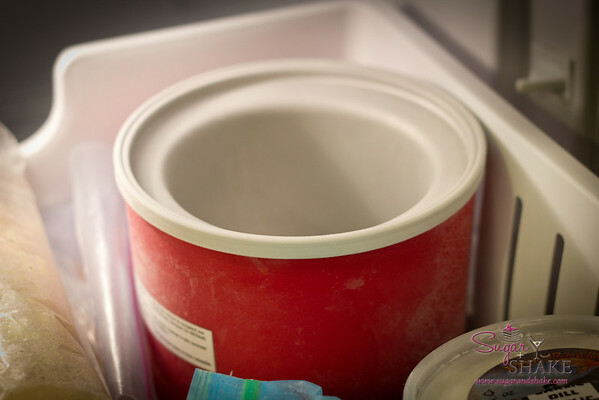 But who knew our freezer bin had such pretty, soft lighting? 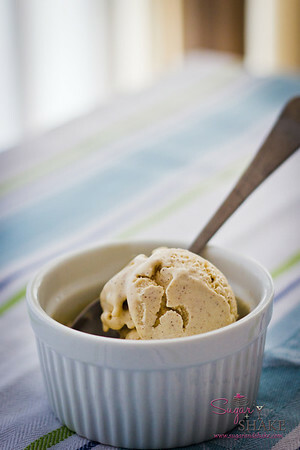 The recipe I used is a French-style ice cream recipe, meaning it uses an egg custard base, so it’s richer. I didn’t intend to; in fact, when I browsed the recent Food & Wine issue featuring ice cream recipes, I thought an American-style recipe would be easier (no egg custard to make). But I promptly forgot about the issue when I started searching for cinnamon ice cream recipes and instead just picked the first one that didn’t have a horrifyingly shocking number of egg yolks (some asked for 10!) and was written by a reasonably entertaining and talented writer. I got better than I bargained for, discovering a new (to me) awesome blog, Vanilla Garlic, which cracks me up. 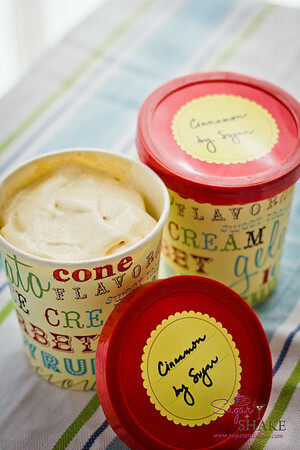 Plus, a cinnamon ice cream recipe that didn’t look like it would make me drop kick the new toy before I got started. So you can get the recipe from Simply Recipes where Vanilla Garlic writer Garrett McCord posted it, since I didn’t make any changes. But check out his blog too, ‘cause it’s funny and full of great recipes. 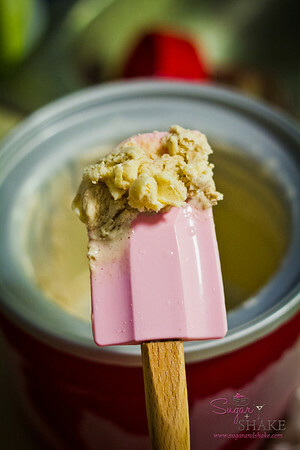 OK, while putting it into cute little ice cream containers and licking the spatula, I did sort of notice that the ice cream had a “different” taste to it, but I attributed that to just being homemade and not, you know, full of crappy preservatives. Hm. Yep. A very subtle salty kick at the end. “I like it. It’s kind of like salted caramel!” said our other guest. It’s not a bad thing…four out of four of us liked the salty undertone. At first, I couldn’t figure out where the saltiness came from. I thought maybe I’d accidentally used salted butter instead of unsalted, but I checked the next morning and the salted butter blocks were all there. I’d looked at a bunch of different recipes online when picking this one, and they all called for around ¼ teaspoon of salt, and I thought this one did, too. Well, turns out Vanilla Garlic asks for ½ teaspoon of salt, whereas others ask for, as I said, ¼ teaspoon or less—or even none—and also use more liquid (cream and/or milk). 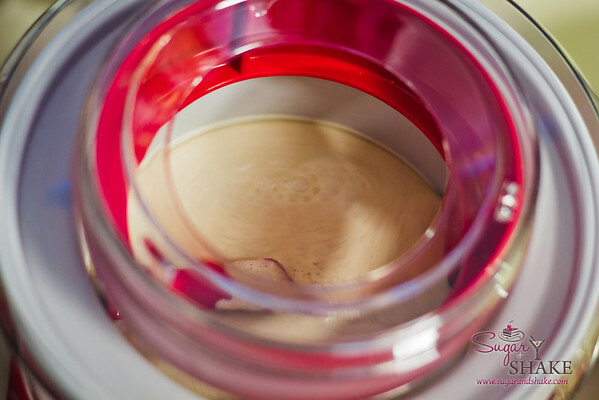 So if you’re not a fan of the salted caramel type of dessert, you might want to decrease the salt added. 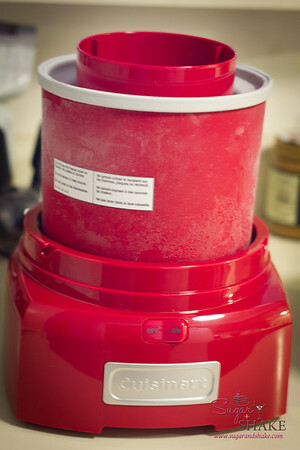 I’m hoping to make my Adventures in Ice Cream Making a regular blog series. I’ve already got my eye on my next flavor endeavor: I saw a recipe for Cherry-Bourbon Pie in the latest Bon Appétit, and I’m thinking of adapting that for ice cream! Stay tuned!